At first, Roberto thought it was quite crazy waking up at 4.30am in the morning to have a ride. In Italy it doesn't work like that as you wake up at 7:30am, sometimes 8:00am. So tomorrow it will be the NPR ride again and it's like we're not going to wake up at 4:30am again (laughing) but in the end he made it. Maybe Roberto needs the latter starts back home as he is getting older and needs to rest more (An'drea laughing). Since joining many bunch rides during the past 4 weeks he has actually found every ride physically challenging but the Hell Ride was crazy (in speed), it was 50km/h+, you have to hang on but in the end it was real good to be there. Being amongst riders half his age, Roberto said he felt good, no worries, although he will be 57 this year he doesn't feel it, he is like a kid. Back in Italy - anything similar? 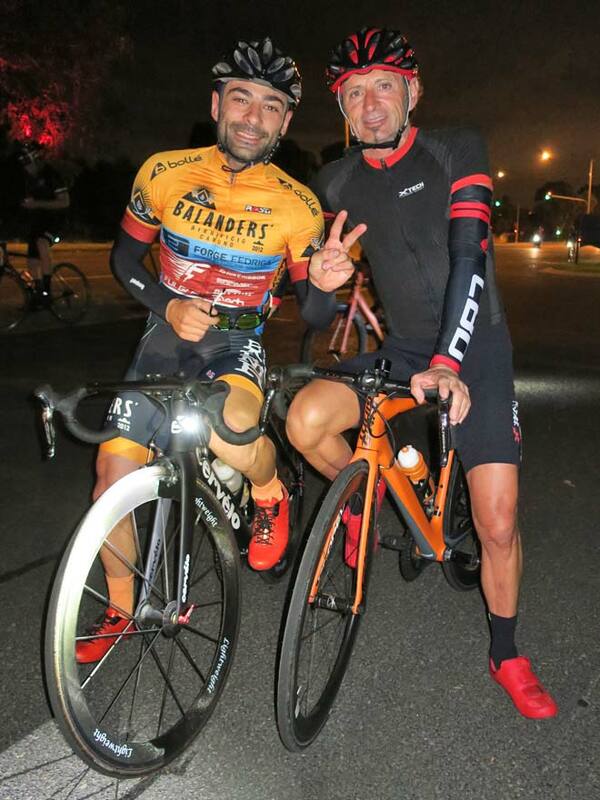 Roberto said that there is one very strong ride every Saturday morning called the Cattolica Men’s Riders with winter being the more popular time and attracting 50 - 60 riders in preparation for summer. 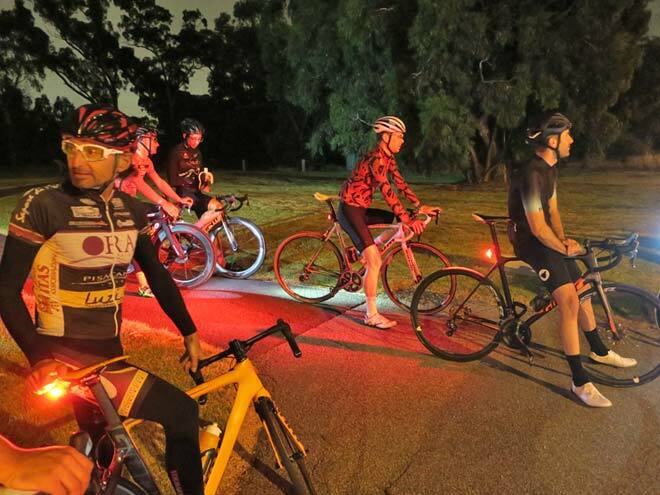 It was so crowded, big numbers of riders on the road in Melbourne where there isn't that many in Italy. 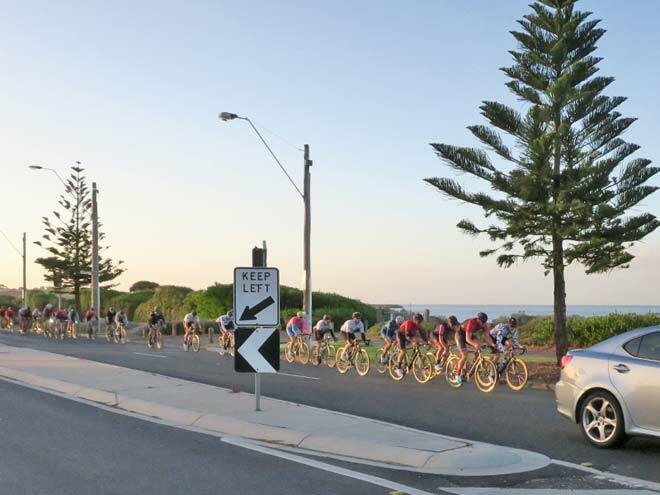 In Melbourne people ride to Beach Rd and it gets very very crowded whereas in Italy there are more options so people are spread out so you don't see those many riders all together. Roberto was very impressed by the high level of rider, the Australian riders are physically bigger guys, strong and super fit, their physique is very very different, in Australia there is very punchy stuff while in Italy (Roberto is from Fano in the Marche region which is north east of Tuscany ) there are longer and steeper climbs (the Dolomites and Swiss Alps). It all came about in 2007 when Roberto wanted to share the passion of riding experienced by An'drea's little brother. They continued riding together in Italy until An'drea left to move to Australia in 2011 where he stopped cycling. 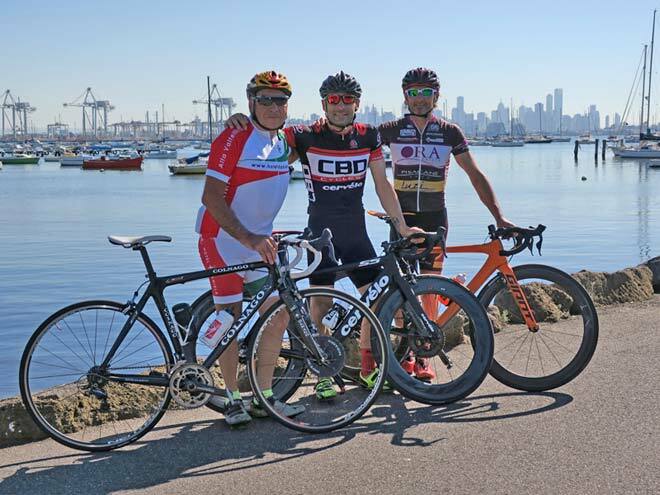 In February last year (2016) An'drea started riding again, it's good to be back on the road and it's good to have my dad here to ride together in Melbourne. Does the father challenge his son? On the Saturday, they went up to the Dandenongs and there were a few steep climbs through the hills and it's been quite challenging to hold his wheel. On yesterday’s NPR ride he did really good as the pace was very high and he managed to hold on to the airport control tower which was good. Well for Roberto after 2 weeks of solid training rides he was riding amazingly and will miss it, he doesn't want to go back, he has to return back to Italy but wants to stay here with the great company he enjoys from the local riders. 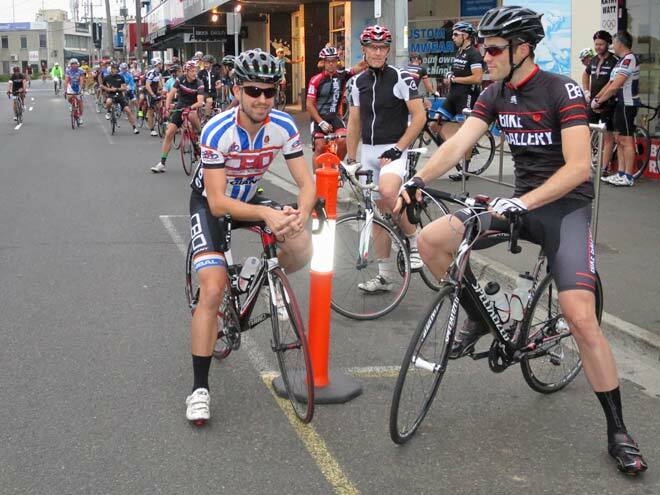 Roberto loves the local riding, including Kinglake, and especially the Dandenongs. It's super bright and colourful and the roads are not rough at all with gentle climbs, you can go fast or slow, it’s such a beautiful place to ride. Every year it's off to the Dolomites but here it’s something special. 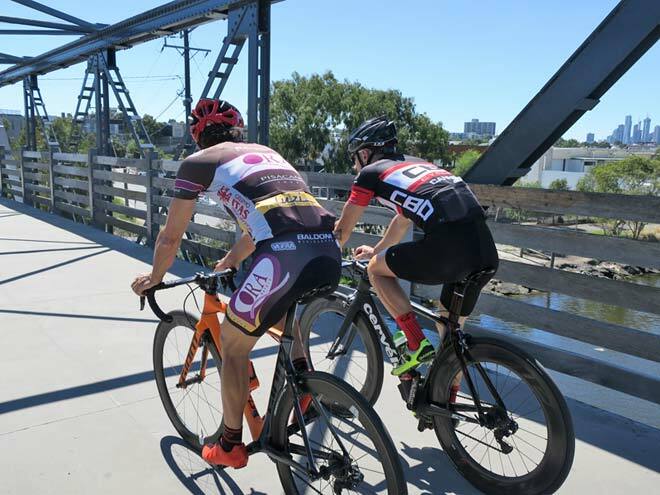 In Australia, the Dolomites are 20,000kms away and a 20-hour flight so it’s about enjoying the moment and cycling here. A different cycling culture, you have to do the early riding in Australia due to the traffic and getting to work afterwards.